Etoile, a name not standing only for glamour but also for technology, over every convention. Appeal and technology: once again we tried to join and valorize them in a very comfortable chair. To obtain the best performance in terms of strength, stability and comfort, we used the highest technology, calling every detail into question, just adding the right touch of class. Light, stackable, approachable, available in a modern range of colors, emphasizes a sharpen behavior. The stackable Strass Chair is a colorful masterpiece, strong and light. A graceful understated form with a look that speaks of Italian style, in a meticulous selection of colors. With the optional rhinestone accessory, Strass is elevated to a new level of sophistication. 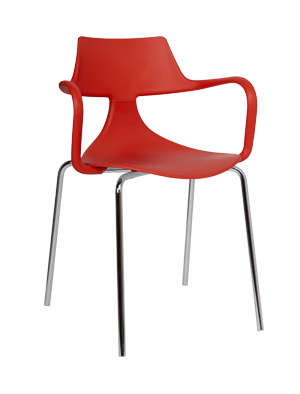 Attractive lines, with chic minimalist appeal.With five color choices each for the polypropylene seat and back, there are actually 64 possible color combinations available for the Strass Chair. Suitable for nearly any environment, each unique color combination creates a new identity. The stackable Strass P Chair is a colorful masterpiece, strong and light. A graceful understated form with a look that speaks of Italian style, in a meticulous selection of colors.With the optional rhinestone accessory, Strass armchair is elevated to a new level of sophistication. Attractive lines, with chic minimalist appeal. 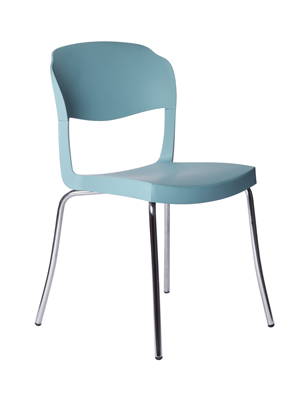 With five color choices each for the polypropylene seat and back, there are actually 64 possible color combinations available for the Strass P Chair. Suitable for nearly any environment, each unique color combination creates a new identity. The industrial chic chair represents the perfect combination of tradition and innovation. This new silhouette, both comfortable and functional creates a perfect style in every environment. 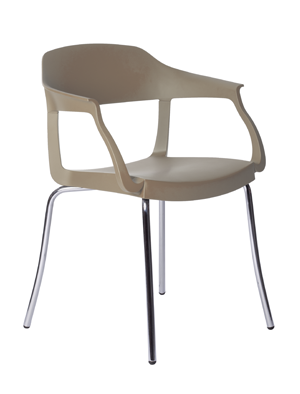 With a curved chromed frame, this stackable technopolymer chair is timeless as an object of design. The industrial chic armchair represents the perfect combination of tradition and innovation. This new silhouette, both comfortable and functional creates a perfect style in every environment. 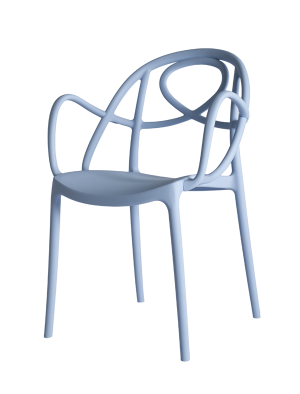 With a curved chromed frame, this stackable technopolymer armchair is timeless as an object of design. 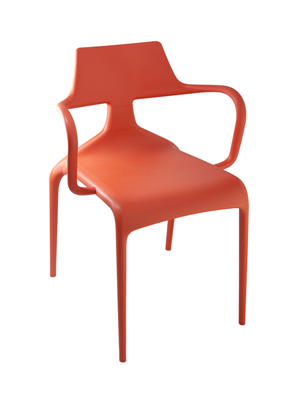 The stackable Shark Chair is colorful, strong and light. Carefully formed for comfort, yet very robust, this lively seat is extremely unique thanks to the flexibility of color combinations. With seven color choices each for the polypropylene seat and back, there are actually 36 possible color combinations available. Suitable for nearly any environment, each unique color combination gives Shark a new identity. The stackable Steam Punk Chair is comfortable, strong and light with a striking chromed steel tube frame. Already an over-achiever, this colorful seat is even more spectacular thanks to the flexibility of color combinations. 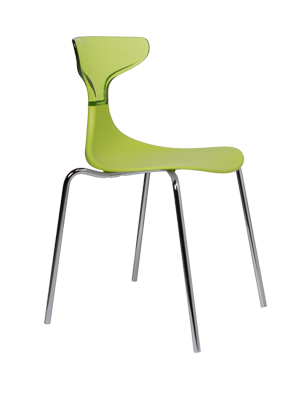 With seven color choices for the polypropylene seat and eight color choices for the polycarbonate back, there are actually 42 possible color combinations available. 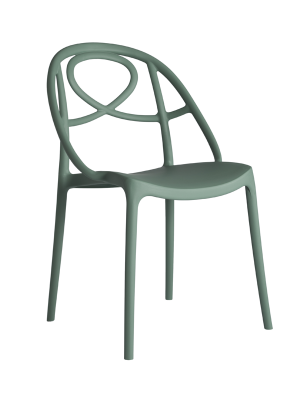 With chameleon-like qualities, the Steam Punk Chair can assume practically any identity. 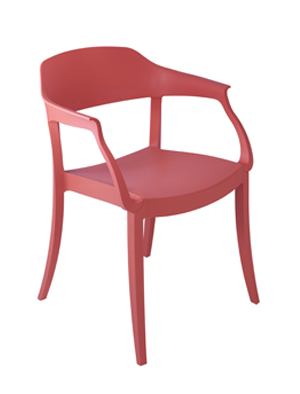 The Iron Shark Chair rises above the rest with its particular style and 36 color combinations. 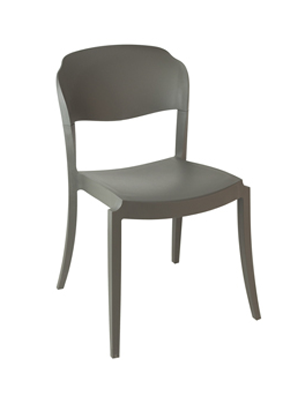 The chromed steel tube frame adds a contemporary touch to the ergonomic polypropylene chair. Select from seven color options each for both the seat and back to create your own unique Iron Shark. Stackable for convenient storage.